The Walking Dead Season 9 Episode 1 Recap: "A New Beginning"
A sense of finality was in the air as The Walking Dead kicked off its highly anticipated ninth season. Much of the discussion and marketing for the season centered on the long-known departure of series star Andrew Lincoln, but the death of former cast member Scott Wilson over the weekend made the series’s return even more somber. Regardless, The Walking Dead still has a story to tell as what’s left of civilization rebuilds following the war between Rick Grimes and Negan. 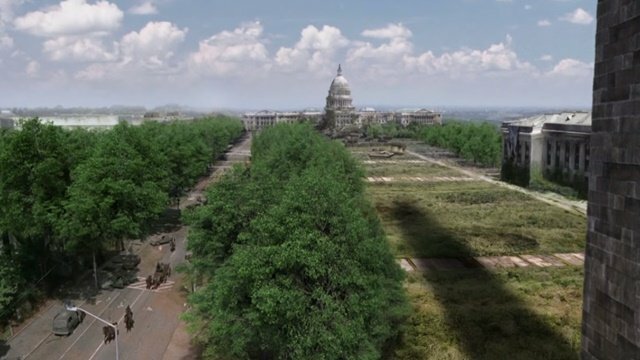 As the calm of uneasy peace sets in, Rick, Daryl and Michonne lead a large contingent of series regulars into Washington D.C. to recover farming tools and seeds from the Smithsonian Museum of American History. After one of the more humorous sight gags the show has produced, the group moves an Oregon Trail-era wagon and plow across the museum’s glass-floored rotunda. The glass eventually cracks and plunges King Ezekiel through the floor into a waiting horde of walkers. Daryl and Carol prevent him from being bitten and pull him to safety, completing the first major character death scare of the season fairly early. The same cannot be said for young Ken, however. After discovering the bridge is out, the Hilltop resident falls during the group’s elongated return home, with the Hilltop’s newly elected leader, Maggie, being forced to prevent him from turning. The liberated Sanctuary becomes a point of disagreement between Daryl and Rick. 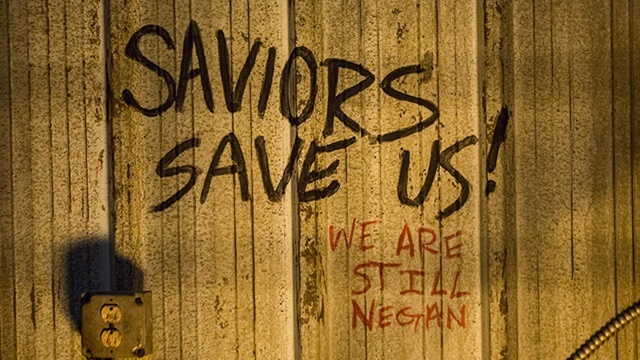 Daryl expresses that he no longer wants to lead the remaining Saviors and believes that Rick’s reformation efforts are wasted on them after seeing pro-Negan graffiti. Daryl laments that the close knit group that has persisted since the beginning doesn’t exist anymore as everyone is spread across different communities. Carol offers to temporarily lead the Saviors, allowing Daryl to return to the Hilltop to assist Maggie. Speaking of Maggie, all is not well at the Hilltop following Ken’s death. His parents don’t take the news of their son’s death well. They blame Maggie for needlessly taking him on the D.C. run and requesting she not be present at his funeral. 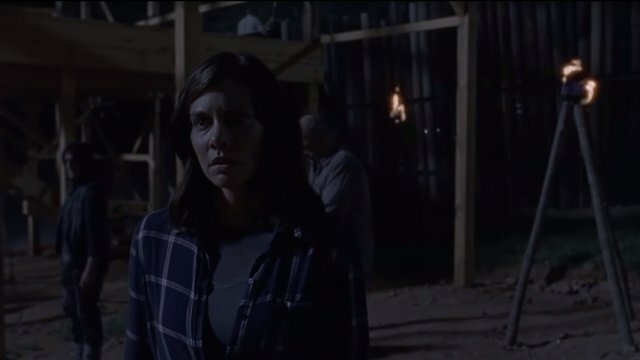 Maggie stays away from the service, allowing far-too-long-suffered fool and former Hilltop leader Gregory to comfort the grieving parents. 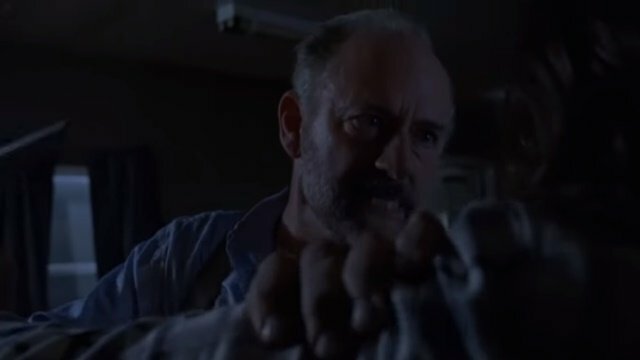 Gregory also drunkenly coaxes Ken’s father into a plot to assassinate Maggie while she is walking her son Herschel. You know. The logical response to losing an election. The assassination attempt ultimately fails, and Maggie takes Gregory into custody after his own attempt to stab her. 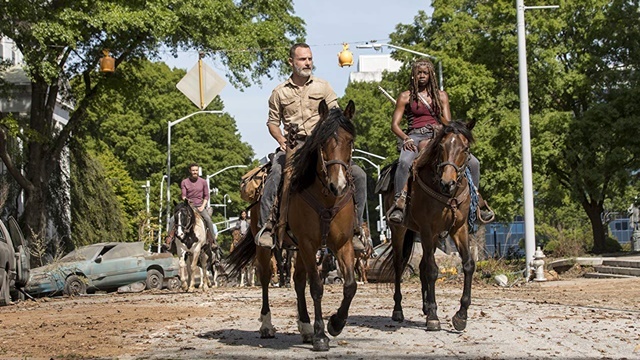 The next day, Rick, Michonne and Daryl arrive at the Hilltop to find the residents putting the finishing touches on a newly-constructed gallows. Rick requests more food and supplies from the Hilltop while the reformed Saviors revitalize their crops. Fearing she is losing the faith of the Hilltop’s residents, Maggie puts her foot down. She demands reciprocity from the Saviors, sowing the seeds for the first possible post-Negan conflict. As if that didn’t show she meant business, Maggie publicly hangs Gregory that night, doing so as some of the community’s children rush out, inadvertently seeing the death occur. What did you think about The Walking Dead season 9 episode 1? Let us know in the comment section below!